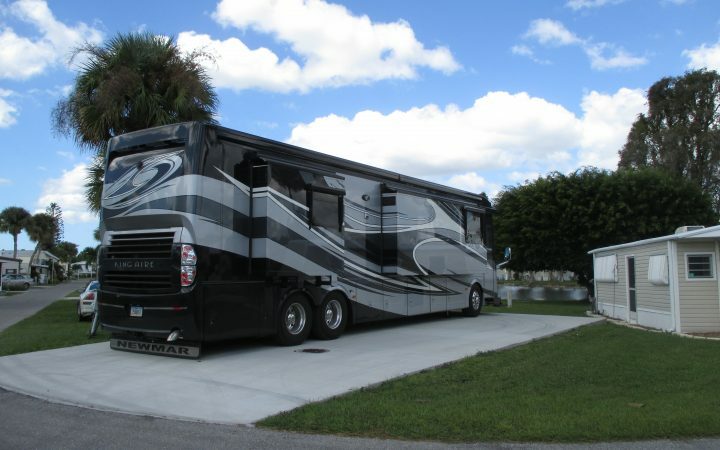 Experience the five-star resort lifestyle at Indian Creek RV Resort in Florida’s Fort Myers Beach — the finest RV resort in southwestern Florida! 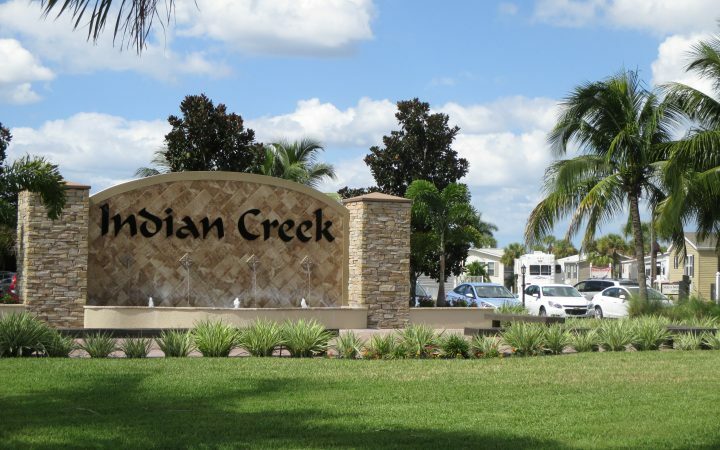 Indian Creek is an age restricted resort catering to an active 55-plus crowd and offers guests an extraordinary vacation destination with exemplary customer service. The amenity package at Indian Creek RV Resort is as extensive as it is impressive. Cool off in one of the three beautiful heated swimming pools or take a relaxing soak in the hot tub. 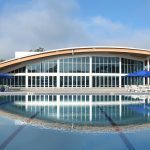 Staying active is never a problem with five full-size tennis courts, catch-and-release fishing on three of the 21 lakes, sixteen pristine shuffleboard courts, beach volleyball, five regulation-sized pickleball courts, seven horseshoe pits, bocce ball and a golf net to practice your swing. This resort also has a great selection of books, puzzles and other reading material at its on-site library — a great place for some quiet down time. Relax and catch up with some friends with an afternoon or evening game of pool on one of the eight handsome billiards tables or attend one of the many activities and social events in the three recreation halls. 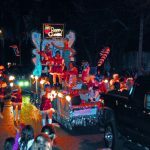 Planned events like dinners, dances, arts and crafts, ice cream socials and themed evenings such as Mardi Gras, happy hour and casino night are sure to keep the social butterfly in you very busy! Just minutes away, you’ll discover the recreational playground that is Fort Myers Beach! Here, you’ll find fantastic shopping, fine dining, nightly entertainment and breathtaking views of the Gulf of Mexico from the pristine beaches or the famous Fort Myers Pier. Charter one of the many available big-catch fishing excursions or set sail on a nature cruise in search of dolphins, manatees, birds and other wildlife. Visit the Sanibel and Captiva Islands, which are rich in both beauty and history. Known for their fantastic shelling, the beaches of Sanibel and Captiva offer such an abundance and variety of shells that their beaches draw shelling enthusiasts to their shores from all around the world. In fact, these islands are actually made out of the shells, so it’s no wonder that’s what they’re famous for! Indian Creek RV Resort surrounds you in a tropical paradise with beautifully maintained grounds, lush colorful landscaping and picturesque views from the 21 sparkling on-site lakes featured here. 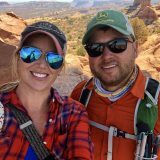 Guests enjoy the very best accommodations, such as well-lit, paved roads with spacious, fully-appointed RV sites complete with a concrete patio for outdoor entertaining. Don’t have an RV? Gorgeous one and two bedroom cottages are available so you can vacation how you choose. These rentals include an open floor concept and contemporary décor with completely furnished rooms and a fully equipped kitchen. There are also a limited number of park models available to purchase as your very own vacation home! 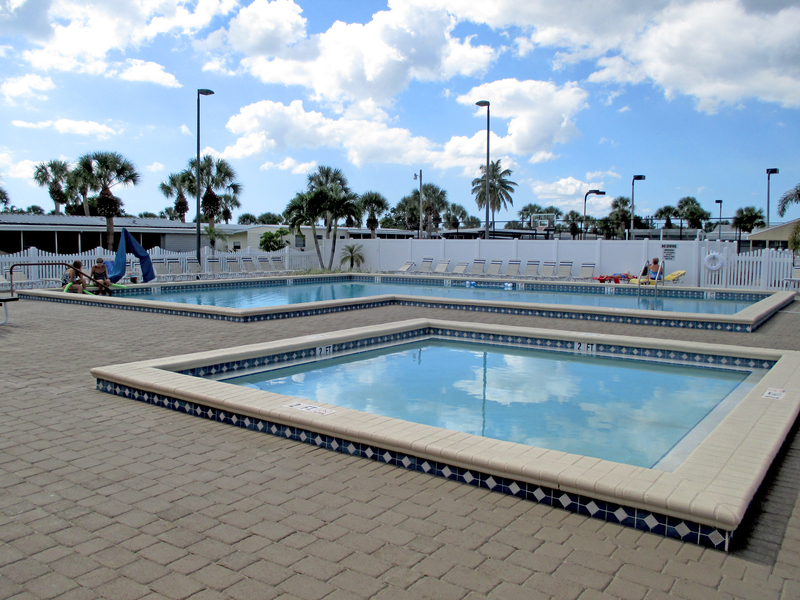 Make your next trip to Fort Myers Beach at Indian Creek RV Resort — a true gem of southwestern Florida that is always imitated but never duplicated.